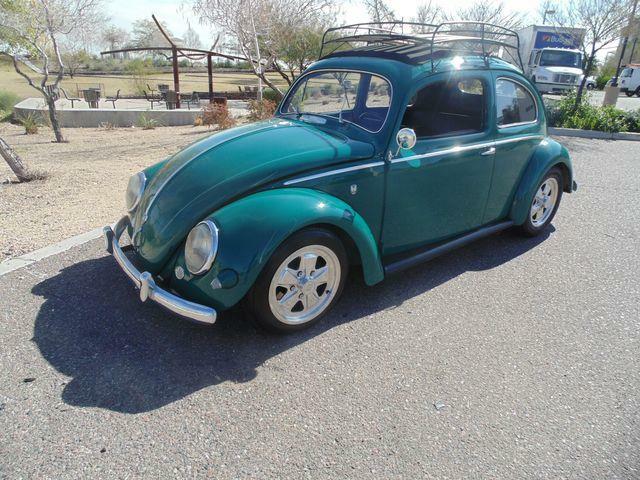 For Volkswagen fanatics, the older the Beetle the better. 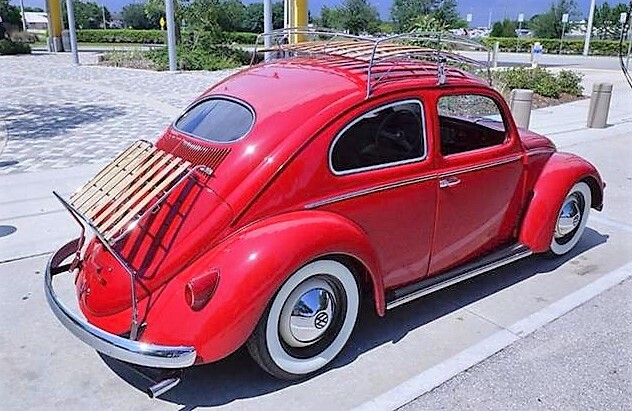 For Volkswagen fanatics, the older the Beetle the better. 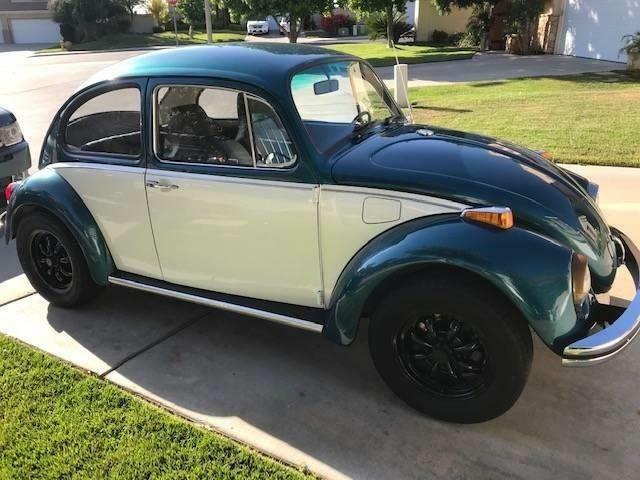 Oval rear windows, tiny taillights, side-mounted front turn signals, simplistic dash with no gas gauge, minimal horsepower, these are the kinds of things that turn on the many followers of VW culture. 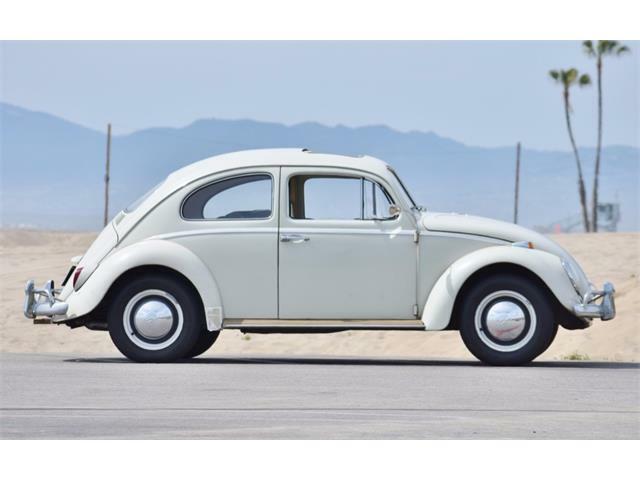 The Pick of the Day, a 1955 VW Beetle, has many of the stylistic attributes of classic Beetle adoration, but it has been spectacularly restored and sympathetically upgraded into a rolling showpiece. 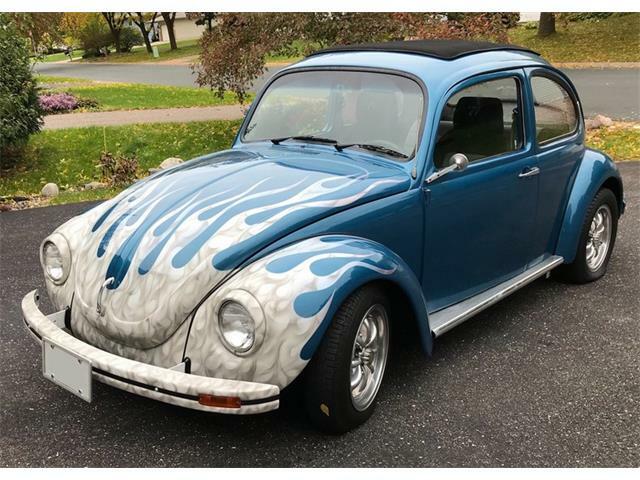 If this were an American classic with a modern drivetrain, we’d call it a resto-mod, so I suppose the description would also fit this bug. 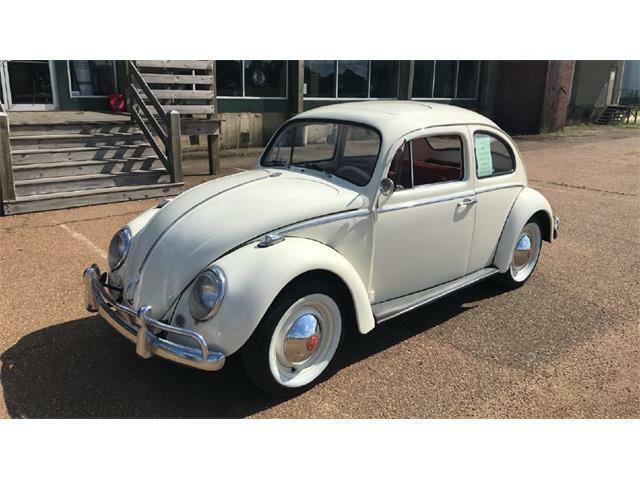 Instead of the factory 1,200 cc air-cooled engine that was good for about 36 horsepower, there is a more-modern 1,600 unit that puts out something like 50 horsepower in stock trim, although they are easy upgraded for greater performance. 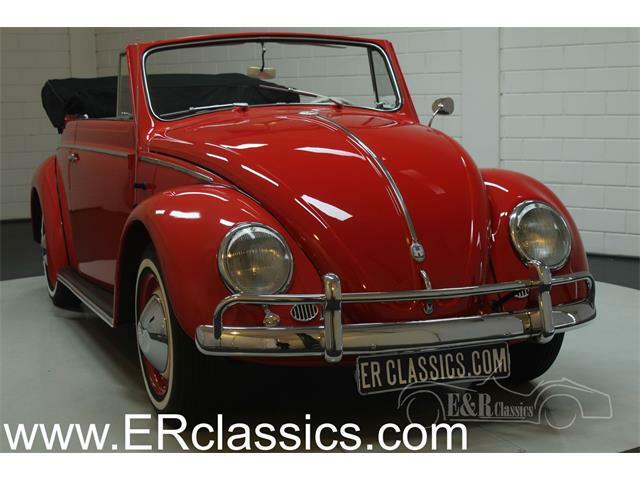 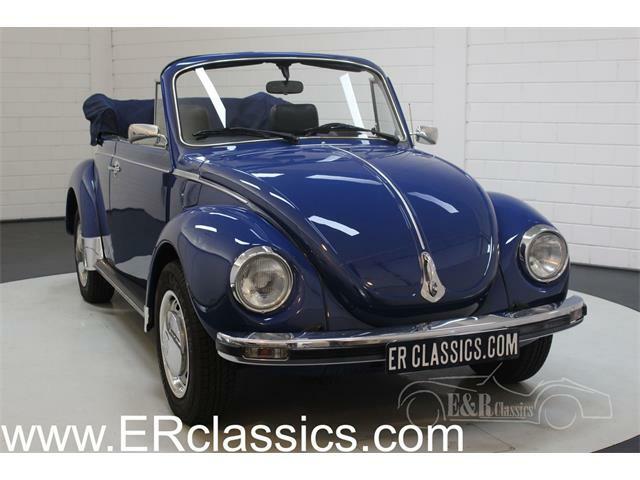 There is no indication in the listing on ClassicCars.com whether this VW’s engine has been tuned, nor are there any underhood photos among the many pictures posted by the Sarasota, Florida, classic car dealer who’s selling the car. 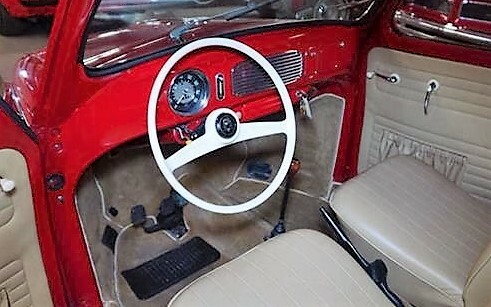 Nor is there a notation whether the transmission is also from a later car, though it most likely is. 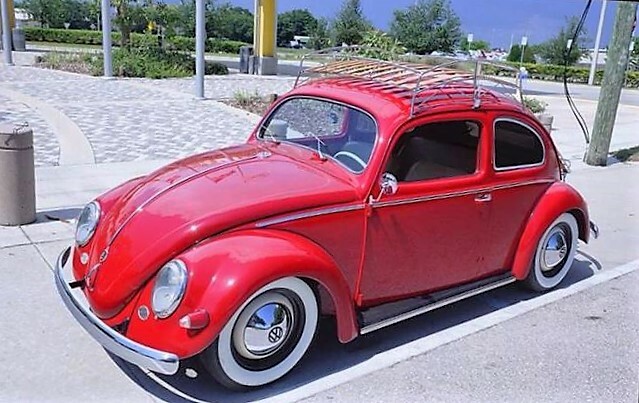 But beyond power considerations, the Beetle looks great in the pictures with its sparkling red paint, mighty-wide whitewalls and hand-crafted luggage racks. 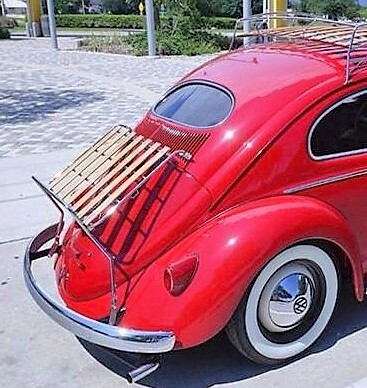 The shots taken underneath the car show its solid unibody and clean suspension. 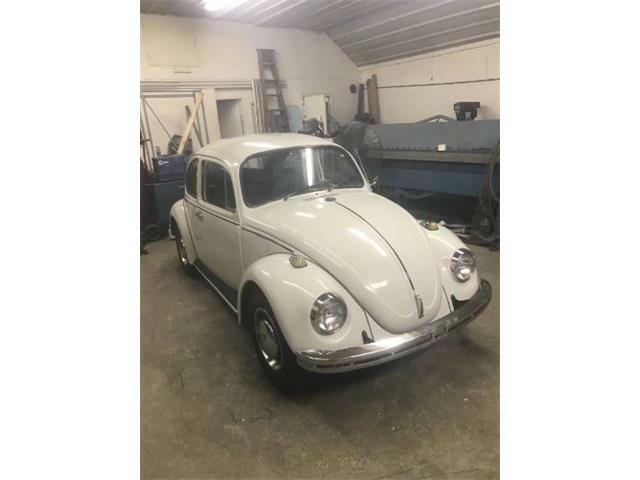 The body and interior have been kept in original trim, as well they should, aside from the glossy paint, shaved bumpers, tinted windows and the slightly lowered stance. 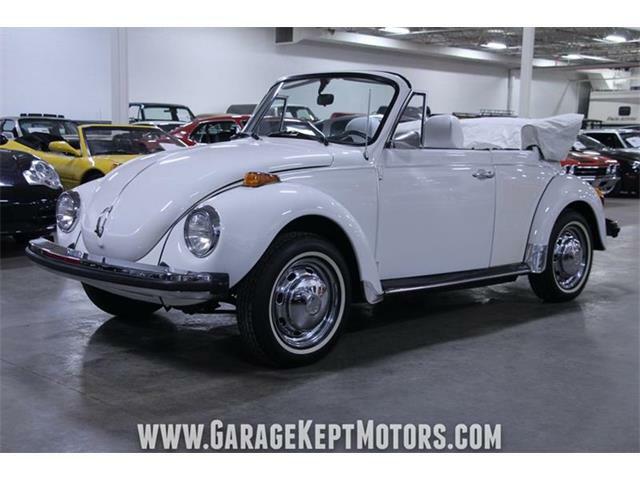 The mileage on the car is stated in the ad as 41,000. 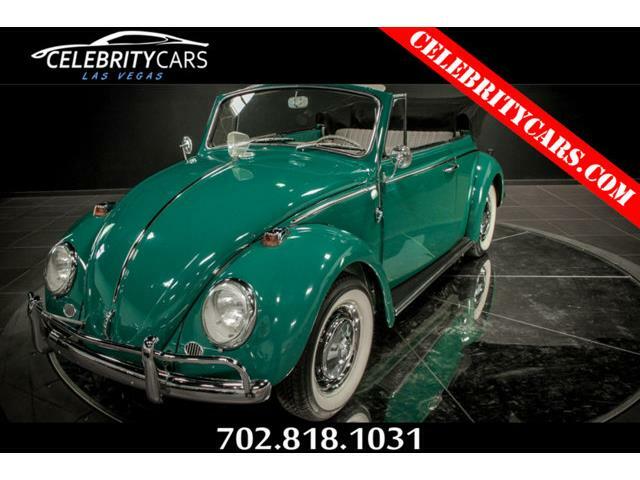 The asking price is $26,900, which would get you a super-stylish Beetle that’s drivable in modern traffic because of the engine upgrade and which would provoke loads of envy at Volkswagen club meets.